Gerald Squires was one of Newfoundland and Labrador’s most distinguished and celebrated visual artists. Though best known for painting dramatic landscapes, he also produced major works in sculpture, lithography, and stained glass, and was an accomplished portraitist. Much of his work drew its inspiration from the landscape and culture of Newfoundland and Labrador. 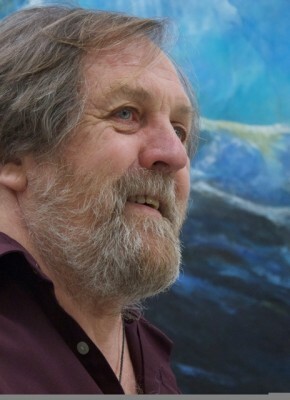 In recognition of his accomplishments, the Newfoundland and Labrador Arts Council awarded him the Ted Drover Award for Excellence in the Visual Arts (1984), and inducted him into their Hall of Honour (2008); in 1991, Memorial University gave him an Honourary Doctorate. In 1999 he was honoured nationally by being named to the Order of Canada. He was also a member of the Royal Canadian Academy of Arts. His work is in many publications, and has been exhibited and collected extensively both at home and abroad. It can be seen in St. John’s at the Emma Butler Gallery, the Gerald Squires Gallery, the Rooms Provincial Gallery, and in many other public buildings and churches throughout the city and province. Born November 17, 1937, he was an active and prolific artist; a retrospective of his work is planned for 2017, to mark what would have been his 80th birthday. Gerald Squires died in October of 2015; he is dearly missed. 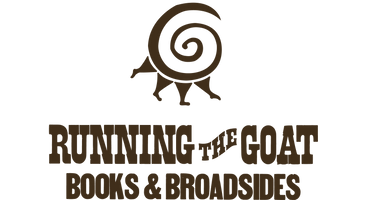 Gerald contributed original artwork to the Goat’s first poemphlet, Chapel Street Torque, a collaboration with Michael Crummey; to Caligula’s Horse and Other Creatures, a collaboration with his dear friend Tom Dawe; and to Joel Thomas Hynes‘s novella Say Nothing Saw Wood. He contributed artwork to the Goat’s forthcoming publication – The Ferryland Visitor: A Mysterious Tale, a picture book by Charis Cotter set in the days when the Squires family first moved to the Ferryland lighthouse.